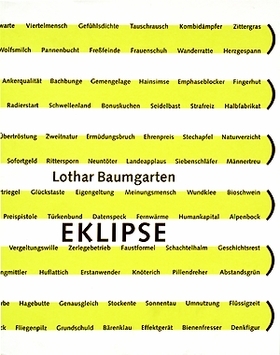 Photographs by Lothar Baumgarten. Contributions by Walter Nikkels, Thomas Wagner. Lothar Baumgarten and Walter Nikkels team up to create this deluxe limited edition of Baumgarten's latest work. Edited by Kaira Cabanas. Text by Christian Rattemeyer, Thomas Bartscherer, John Curley, Amy Rosenblum Martín.